Tickets for 2019 are on sale now! No whale should have to live in a concrete tank. Whales should no longer have to perform for their supper and for our entertainment. Captive whales have raised millions of dollars for their owners and entertained millions of people – don’t we owe them something? It is time to retire these magnificent animals to natural seaside sanctuaries. A member of the Whale Sanctuary Project Board of Directors since mid-2016, Charles is no stranger to ambitious, visionary, ocean-related projects. Working with Jean-Michel and Jacques Cousteau for a quarter of a century, Charles helped the ocean explorers develop multiple initiatives. As an adviser to and co-founder of the Cousteau Centers, Inc., Charles helped establish and managed Parc Oceanique Cousteau, an ocean education and entertainment complex in Paris. He shepherded the growth of the Cousteau Society and served as Executive VP of the Jean-Michel Cousteau Institute & Ocean Futures Society. Charles led the highly-publicized Keiko Project, a pioneering effort that marshaled public and media support to reintroduce to the wild the captive orca made famous through the Free Willy films. 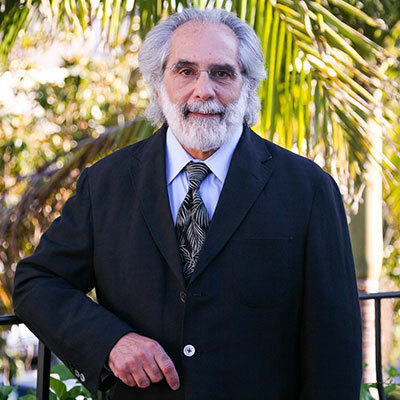 Before joining the Whale Sanctuary Project, Charles served as CEO of two environmental technology companies, Florida-based Ecosphere Technologies, Inc., and Aquantis, Inc. in Santa Barbara. © 2010 - 2019 TEDxSantaBarbara • This independent TEDx event is operated under license from TED. Get notifications on all upcoming TEDxSantaBarbara events for 2019. We've got a lot of very cool programs in store for the Santa Barbara community. Don't miss out!